The LEAN Pharmaceutical simulation: automation, workflow, predictive modeling and analytics. Utilizing Dynamic Simulation in the Pharmaceutical industry can increase efficiency, throughput, and maximize potential therefore increasing profitability. Increase pharmaceutical flow efficiency using dynamic healthcare simulation software - Simcad Pro Health. 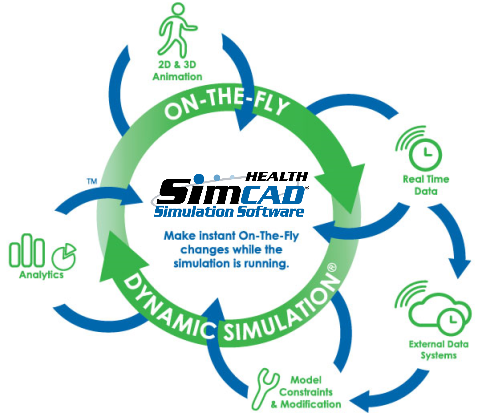 Simcad Pro Health dynamic simulation software aids in validating changes to the process flow, determining the impact of adding automated equipment, optimizing resource schedules and shifts as well as helping to see how the future increases / decreases on demand will impact the system. 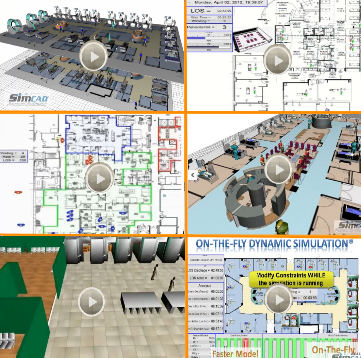 Simcad Pro Health's dynamic environment allows the user to see the impact potential changes have on overall facility efficiency, order turn around time, utilization, and value added versus non-value added time, among others. 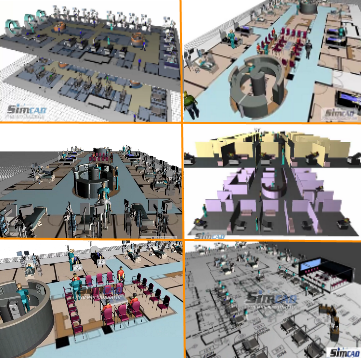 Dynamic simulation will also allow the user to detect and locate bottlenecks, and allow them to alter their model to see if a change can improve their system before permanent implementation.